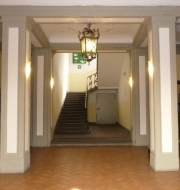 We are situated in the centre of Florence, just five minutes on foot from the central train station, in Via Nazionale 22 (black numbers). The most important monuments of the city are around us,the Duomo, the traditional open market of San Lorenzo, museo dell' Accademia (where you can admire Michelangelo's statu of David), Uffizi Museum, Palazzo dei Congressi, Fortezza da Basso etc. Two important details that you have to keep in mind when you are coming from the train station to our place is that Via Nazionale has a different name in it's begging that's Largo Fratelli Alinari. The second is that the civic number is black, as in Florence there are red numbers for the shops and black numbers for houses and hotels. Tired of the crowded, loud and messy tourist life? 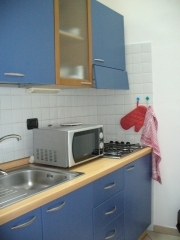 Take a break from all that chaos and make yourself at home in a real florentinne house!!! 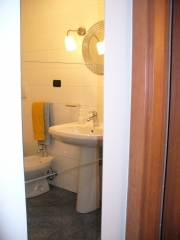 Short Stop Apartment is a cozy two room flat with private bathroom, kitchen and a pretty balcony viewing out grand Cathedral, the "Duomo". 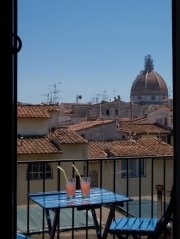 Though in the heart of Florence, Short Stop is peacefull and airy, overlooking the characteristic terracotta rooftops. You'll have all the privacy and indipendence that a private apartment can offer. This makes it perfect for both family and/or friends, for a maximim of six people. 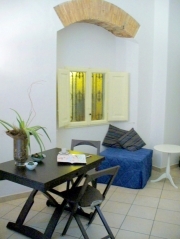 We will give you a warm, helpful and friendly welcome either in English, French or Italian. When you check in, we give you the keys of the front door, so you can come back whenever you need.We have no curfew.